I spoke about trust in virtual worlds, but I spoke primarily about trust between individuals. When a large corporation like Microsoft comes into Second Life, the same approach is necessary. I remember a time when the name Microsoft brought up such passionately negative emotion in people, that employees were advised for their own safety to refrain from wearing Microsoft-branded merchandise in public. It was also during that time that employees were asked to participate in forums because customers tend to like individual employees, even though they hated the company as a whole. In technology conferences and expositions, people meet Microsoft employees and feel better about the company based on one-on-one conversations with those individuals. Customers can ask questions directly and get a live response. Customers and company representatives have a real conversation, an exchange of information. As a result, the customers feel cared for and listened to, the employees get an unfiltered view of what the customers want, and the company builds goodwill. There are ways for customers to reach employees online -- blogs and forums, for instance. But blogs tend to be one-sided broadcasts. Comments to blogs and tagging rarely develop into conversations. When they do, they tend to be short strings of exchanges, where each side simply takes their turn on the podium. Responses are edited and polished. Forums are more interactive, but, again, responses are edited and polished. And the asynchronicity makes the "conversation" disjointed. 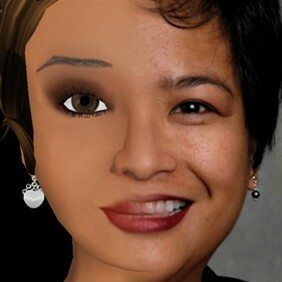 Virtual worlds offer something closer to a spontaneous face-to-face meeting but with the cost-effectiveness and the convenience of online conversations. In a virtual world, it becomes warmer, more personal, more intimate. And warmer, more personal, and more intimate are the right conditions for trust to develop in any interaction.